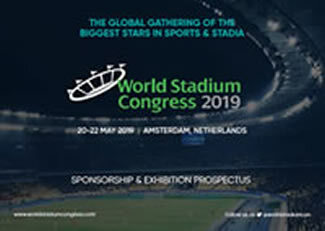 World Stadium Congress is back for 2019 in Amsterdam! Want to be in front of a large and engaged group of smart industry leaders who are serious about building relationships to build their businesses? Celebrating 10 years of successfully hosting one of the biggest gatherings of the most influential leaders in stadium development and tournament delivery from across the globe, we are pleased to bring this congress again from 20-22 May 2019 in Amsterdam. What Role Will You Play At The #1 Gathering Of Leaders In Sports & Stadia? "It’s been a world-class congress, level of speakers and attendees have been impressive." Sponsorship opportunities range from roundtable sponsorship, exhibition stands to sponsored lunches, cocktail receptions, gala dinners, a host of informal social networking events and more! Contact us now at +971 4 360 2800 or email partnership@iqpc.ae to discuss how we can tailor our sponsorship packages to suit your business objectives.